WHY THE FOCUS ON DEATH AND WRITING? We are losing our older artists. Which means none of us is immune to Death. Fancy that. Not that long ago, we lost both Elmore Leonard and Leonard Nimoy. Sir Terry Pratchett, 66, just died of ‘complications of a chest infection and Alzheimer’s,’ according to the news, and was an advocate of the ‘right to die’ movement. May he rest in peace. I am fast approaching the same age. And we all know of writers whose fans are desperately hoping they will finish X before kicking the bucket. Other than not plan to die (I understand we are subject to the event, but had assumed, in my case, an exception would be made)? In the same day, I run into, again, Neil Gaiman’s recommendation to write your will so it protects your intellectual property. Dean Wesley Smith and Kris Rusch have nagged unceasingly (thank you both) for having a tidy intellectual property disposal set up before you die, partly as the result of having had to deal with a huge estate, and partly because they will each leave a huge literary estate. We need to update our wills. Most people do, even if they wrote one once. And many writer’s wills were written before they had much IP to protect. I have no published works yet, so I have no actual intellectual property of that sort. 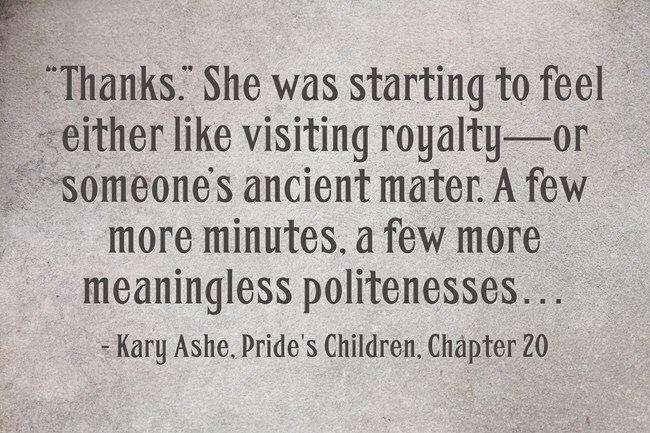 But I am approaching publication for the first book of Pride’s Children, and I have a heck of a lot of notes. 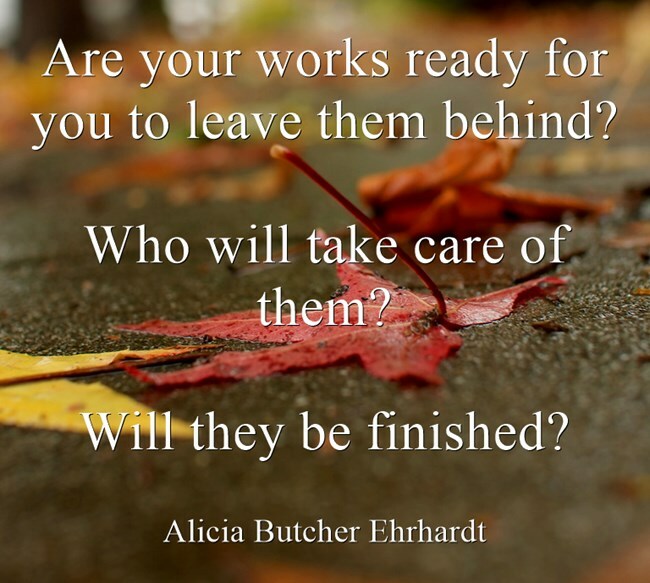 What happens to an unfinished story when the writer leaves this mortal coil? This bothers me, because I have barely approached the end of Book 1, and though I have a very rough draft of sorts for Books 2 and 3 (and 4, if you consider it separate), I worry about leaving people who like the story (a tiny contingent) and the characters without knowing what the end is. 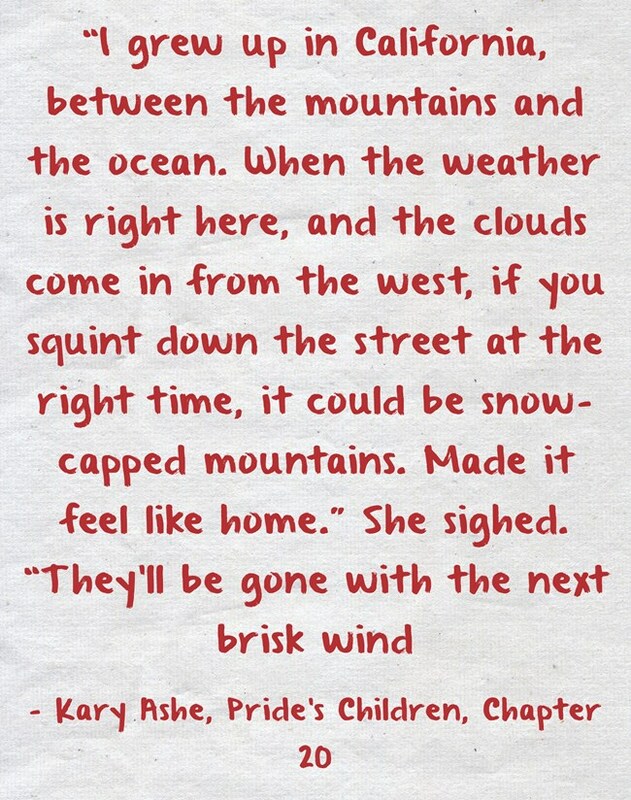 Unless I get to write the remainder of Pride’s Children, it has no real value as intellectual property; it is unfinished, and not important enough to leave to someone else to finish. Once it IS finished, it will be important for any monetary value my work has, to designate a proper executor for my literary estate, and have it managed to maintain any value it has. If my disease progresses faster than expected, I hope to have time to leave things tidy. But in between, if I get hit by a truck, no one will know how Pride’s Children ends. Worse still, I have promised a certain kind of ending, and it is not the least bit obvious how to get from where the last scene is, to this ending. I believe in happy endings, earned. I have been thinking I need to publish a TV-synopsis-like list of the future episodes, subject to change as it is reworked, or give it to someone as the final post on my blog. Or better still, publish it on my blog by SCHEDULING it in advance, and moving that publication date forward frequently, so that IF I die unexpectedly, and stop moving it forward, it will get published automatically before someone has the chance to stop my blog from going forward. 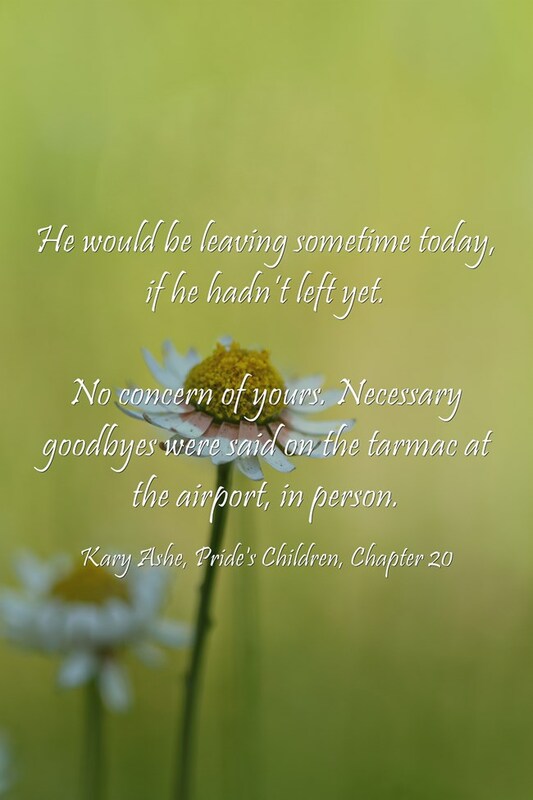 I am committed to the story – I know how it ends – what do you think of this idea? This entry was posted in CFS - living and writing with ME/CFS/CFIDS, Random writings, This writer's life and tagged CFS, contract with reader, disaster, emergencies, fears, Hard choices, Life, ME/CFS, writer organization on March 12, 2015 by Alicia Butcher Ehrhardt. I have been battling early morning starts. I got to the computer chair, but I wasn’t making the decision to block the net for several hours and get my writing done, even though that’s what I always want to do, and it’s the only time I can (before the world crashes in and demands things). So I stopped to have a think – usually a good idea. DATA: What is actually going on? And I found that the first thing I was demanding of my bleary-eyed self was a huge decision: blocking out all my writing time, and getting to work. And I couldn’t make that important a decision – yet. So I’d surf for a while, check the emails, searching for something ‘out there’ that would get me started, all the while dumping the vast garbage dump that is the internet (even when you confine yourself to a few well-known blogs) into my brain for composting. Don’t even ask me to do yoga or go for a walk – the decision-making engine isn’t on yet, and I wake up stiff as a board. It occurred to me I was going about it wrong: what if the answer wasn’t ‘out there,’ the trigger, the jump start, the on switch? What if reading and commenting and bookmarking – just because my brain wasn’t up to full speed – was actually physically counterproductive. One of the most difficult jobs we do is to mine for gold nuggets from the tons of ore – because it takes brain power to mine, and the brain ends up loaded with stuff which must be cleaned out before it can think. Copying my writing process: who am I? 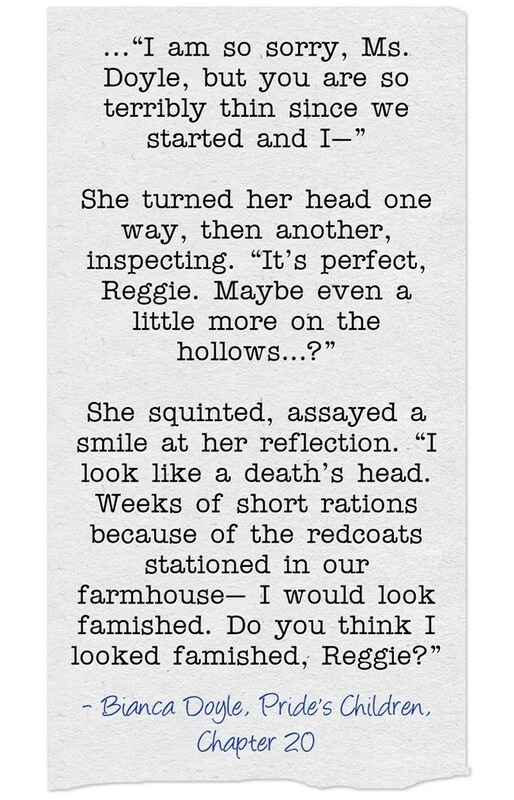 I do that when I switch pov on my characters: I take some time to ‘become the character again.’ I re-read the character’s last scene, and the end of the previous scene (if the previous scene was a different character). I take the time, think it through. What if the first thing I have to do every morning, as in every scene, is to become ME again? Instead of looking at the early morning planning time as: check the to do list, pick the important stuff, load the brain up, whip it into action, hurry, time is running out – what if I see it as (though it doesn’t feel this way – maybe from years of assault?) time to remember who I think I am, and to let a positive attitude (preceded by smile and prayer) to creep into my brain BEFORE I subject it to the long list of things I WOULD do today (most of which won’t get done)? Am I reinforcing my own brain fog? I am a writer. That is a constant PLEASURE. Regardless of how my writing time is spent, in principle I allow myself some each day – because that’s what I’d do if I had no pressures on me. Writing is pure JOY – and I do it playing in my own mind, with only myself for company. I don’t need those people I keep looking for on the internet, in my family, in emails which sometimes come but most often do not. My best play time is spent alone, unless I’m too tired to enjoy it. Writing is how I communicate with my soul, though I will confess: NOT all of what I think will ever get written. Someone may later read my words and be hurt. I can’t keep frustration – we all have it – completely out, but I try not to do it deliberately, and certainly don’t want people to be hurt by what I really think – which I do only part of the time, anyway. We ALL have relationships with other people which VARY by the minute. Relationships are the sum of what we feel and think PLUS what we let out, conscious that we are not perfect ourselves. Now that I know what I WANT, what do I DO? Behavior – which includes speech – IS in our control. Even thoughts – indulge the thought or work to replace it with a more loving Christian one? Think of a pink elephant in the room. Now imagine painting nice blue spots on it with a big brush. Controlling your thoughts isn’t that hard. And not having to deal with the huge playground/temptation/bottomless pit that is the internet before I’m even human seems to help. A breather. For my soul. Update after a week: It is working! I block the internet for a half hour only, and use that time to just sit at the computer, wake up, start the day by becoming ME again. I’m starting the day with a brain just a physically muddled – that has to do with the disease, and there doesn’t seem to be a way of modifying it (yet): not caffeine, not breakfast or skipping breakfast, not sleeping little or a lot. But, the same way I become a character before I write from that pov, I’m becoming myself before I have to face the world with it. After the half hour, I take a superquick (less than 10 minutes, with the timer on) look through the emails and ask myself if things can wait. 99% of the time they can – and it seems so much easier to re-block the net for a bunch of hours and get to work than it had been. Somewhere in your own data may be the answers to your questions. You know yourself better than anyone. Does any of this resonate with your process for getting started – and around you wasting your own time? Or is it just me? 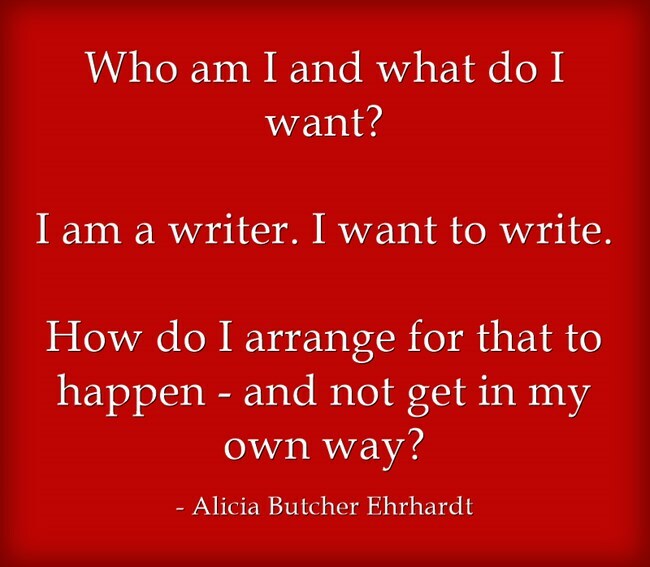 This entry was posted in Brain training, CFS - living and writing with ME/CFS/CFIDS, This writer's life and tagged brain fog, CFIDS, CFS, Hard choices, Life, ME/CFS, self-improvement, the creative process, writer behavior mod, writer organization on March 11, 2015 by Alicia Butcher Ehrhardt.